The Double Bean Ring is fabricated from sterling silver, concrete, and felt. 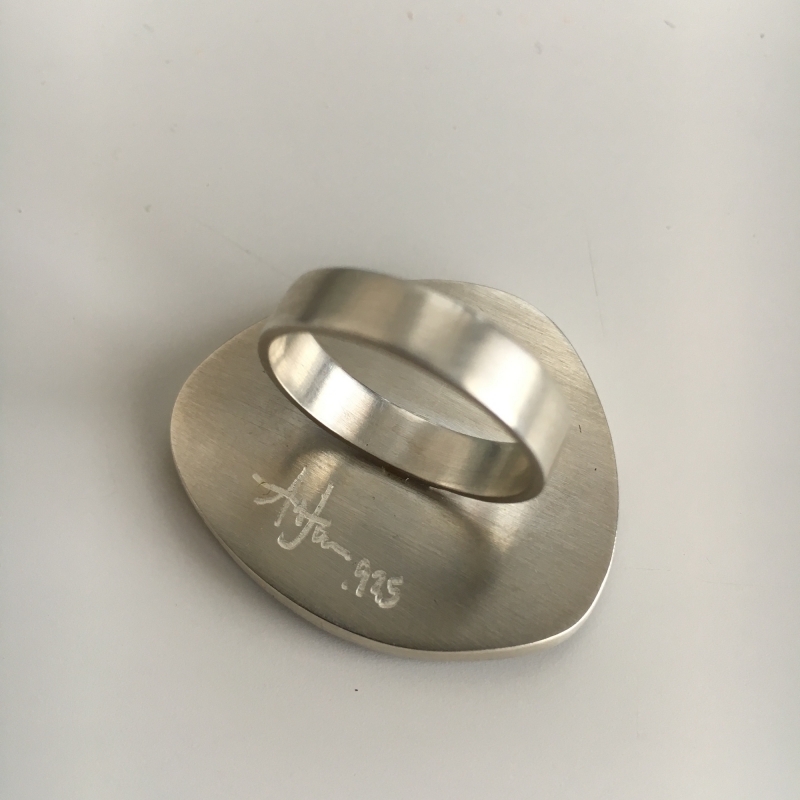 The silver has a matte, brushed finish, which compliments the other materials in the ring. The concrete is mixed by hand with pigment added to achieve the medium gray color, and the surface is then sanded and sealed once cured. The finishing touch is a piece of flat wool felt in any of 10 colours. Various sizes.